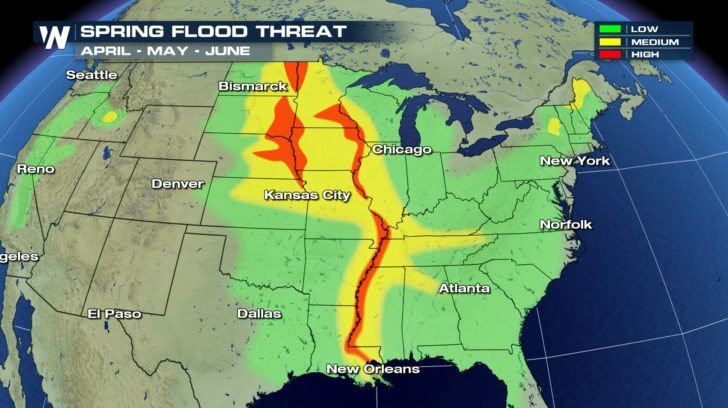 The flooding in the central U.S. has been nothing short of catastrophic. And while many river levels continue to drop, the danger of more flooding this spring remains a very real concern in the region. There is still plenty of snow-pack on the ground. And with temperatures expected to rise by midweek, the possibility of infusing more water into river basins that are already overwhelmed, is enough to cause worry. 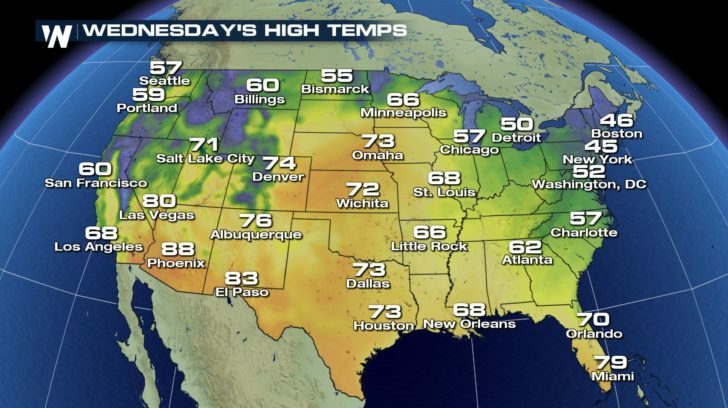 A ridge in the jetstream will cause temperatures to rise by Wednesday. Warm air from the south will flow northward. You can see temps today compared with Wednesday. 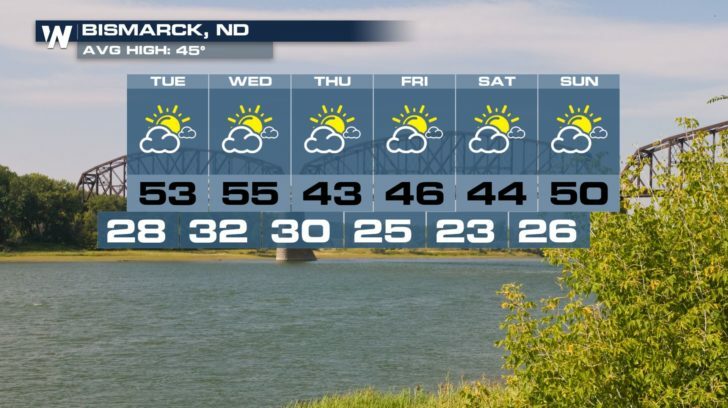 Bismark will go from 34 degrees on today to 55 on Wednesday! 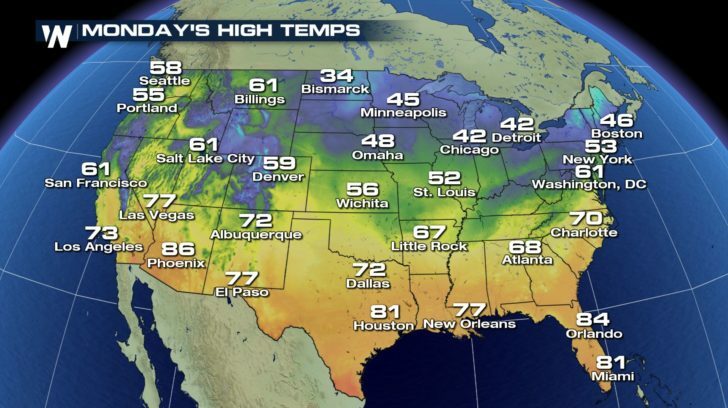 Minneapolis will be in the mid 40’s today and in the mid 60’s by Wednesday! And while residents in these towns have endured a long cold winter, and will enjoy the warm-up, a big downside will be rapid snow-melt. 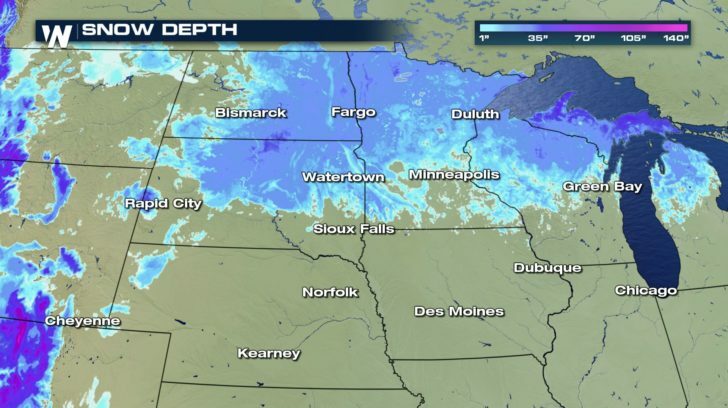 Between one and three feet of snow is currently on the ground in the Dakotas, Minnesota, and Wisconsin. Rapid snow-melt could cause more flooding, especially downstream where the floods have already caused breaches and failures in the levee system. You can see in the graphic below where the threat is highest for more flooding, in the orange shaded areas. 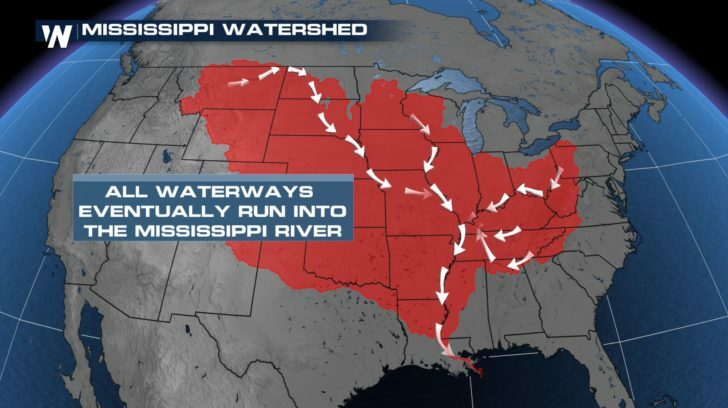 It matches up almost exactly where there has already been flooding… in the Missouri and Mississippi River Basins. East of the Rocky Mountains, and west of the Appalachian Mountains, almost all water eventually runs into the Mississippi River, which empties into the Gulf of Mexico in southeastern Louisiana. (One exception to this would be the Red River in eastern North Dakota, which flows northward into Canada). 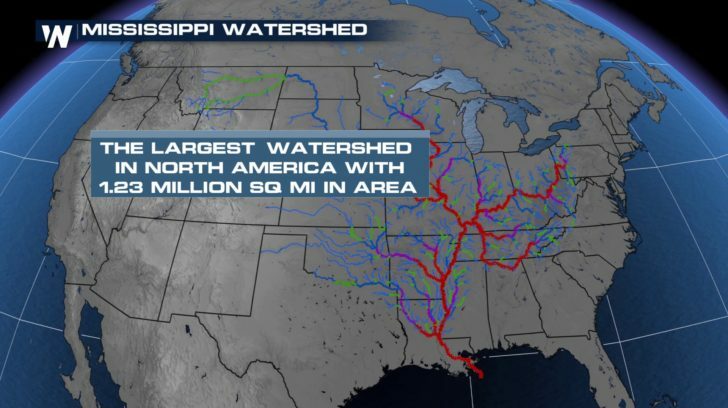 In fact, the Mississippi Watershed is the largest in North America! So it’s incredibly important to monitor rainfall and snow-melt in the north central U.S. Rapidly melting snow upstream, and cause major flooding downstream. And it follows that flooding can also occur where the snow is melting too! That’s what caused the recent flooding in eastern Nebraska and western Iowa. There are two bits of good news regarding flooding. First, the warm-up will be brief. Temps will become very warm on Wednesday, including places like Minneapolis, but they will also cool down very quickly too. 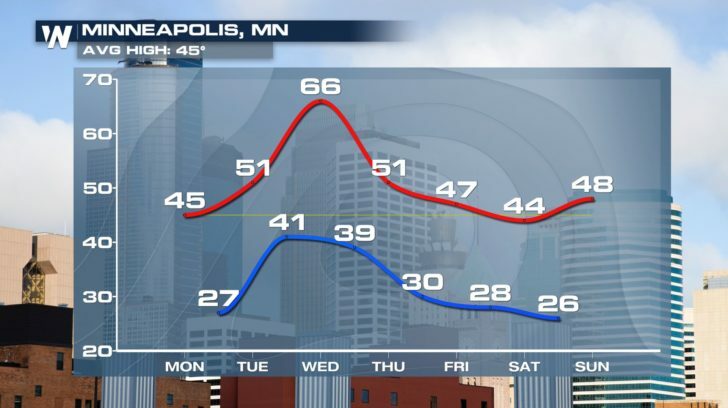 After a high of 66 in Minneapolis on Wednesday, temps will cool into the 50’s on Thursday, and into the 40’s by Friday. 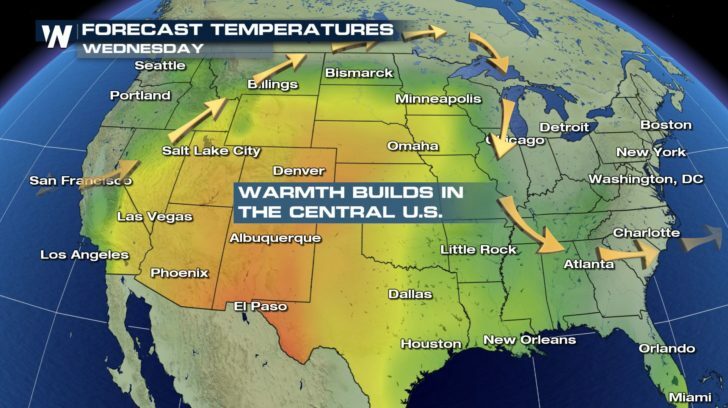 And the forecast will stay relatively dry for the next week in the north central U.S. So Mother Nature will not be depositing much rain into the river basins. Hopefully the expected snow melt this week won’t be enough to cause any additional flooding. We will be following the flooding potential and the river basins very carefully this spring. You can watch our coverage on WeatherNation on the Dish Network, Roku, Fire TV, Pluto TV, Apple TV, and with our free app on any I-phone and android device.